" 'Green News Report' - January 15, 2019	"
Investigators have been probing whether the company’s equipment ignited the fire, along with its potential liability for blazes that devastated Northern California’s wine country in 2017 — costs that “could exceed $30 billion,” according to the filing. That would dwarf the $1.5 billion in cash and cash equivalents on hand as of Friday. The market’s not buying its Hail Mary effort to get a last-minute hand from California... Something may yet happen to keep the company out of the court. That something is largely personified in new Governor Gavin Newsom. Facing perhaps $30 billion of liabilities arising from wildfires in 2017 and 2018, PG&E is effectively a ward of the state. While the inspection personnel represent a relatively small proportion of the E.P.A.’s total of about 15,000 workers, their absence increases the chances that, either by design or by accident, companies might emit illegal levels of contaminants into the air or water without detection, for weeks on end, according to people familiar with the E.P.A. inspections. Overflowing trash cans and vandalism in national parks managed by the Interior Department have become a symbol of the ongoing partial government shutdown...But, despite the shutdown, the Trump administration is continuing work on one of Interior's biggest, most controversial priorities: opening up more Arctic lands in Alaska to oil drilling. "The stock has shown very little signs of recovery. It's considered a depleted resource," said Tina Berger, spokeswoman for the agency... [T]he warming ocean and predation have decimated the shrimp fishery. The shrimp are especially sensitive to changes in water temperature, Berger said. Sea level is rising with observable consequences along the East Coast and around the world, both physically and financially. Trenberth and his colleagues say if society continues to emit greenhouse gas at its current rate, oceans will rise one foot by the end of the century on top of the rise expected from melting land ice on Greenland and Antarctica. A new study published Thursday strengthens the consensus that the warming of the world's oceans is accelerating. It's a trend that climate models have long predicted, but it had been difficult to confirm until recently. 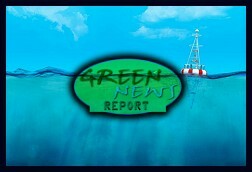 « PREVIOUS STORY "'Unauditable' Barcoded 'Paper Ballot' Systems Coming to GA, L.A. County: 'BradCast' 1/14/2019"
"'Green News Report' - January 15, 2019"
There are lots of Countries With Sea Level Change.